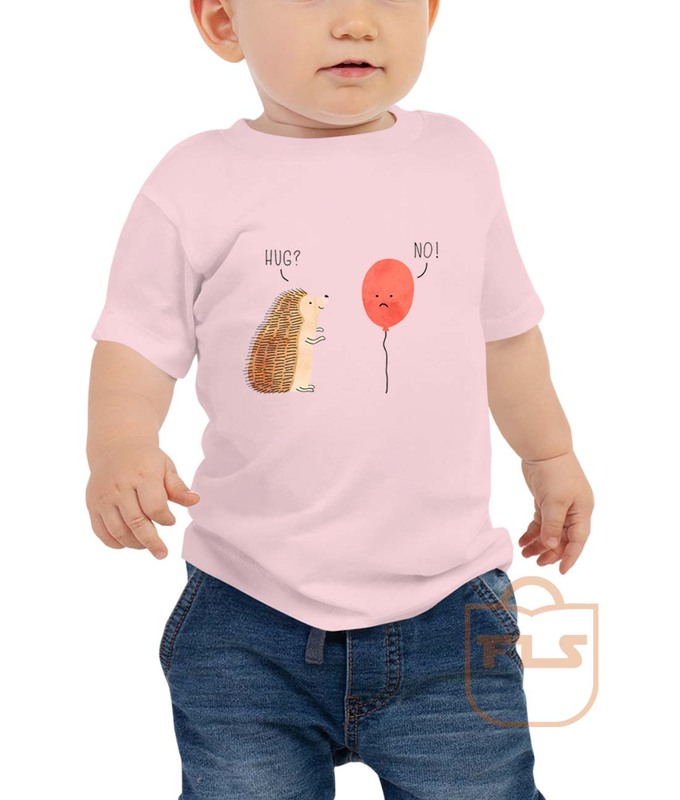 The Impossible Love Hedgehog Ballon Toddler T Shirt is soft, durable, and bound to become the staple of your toddlers wardrobe. Welcome to Ferolos.com, we produce Impossible Love Hedgehog Ballon Toddler T Shirt high-quality shirts with great designs in the world. Our soft textile flex print gives a really high end finish to any striking design. This high-quality print will not crack or fade which ensures your garment stays looking fantastic. Let your toddler do their thing while feeling super comfy and looking extra stylish in this short-sleeve jersey t-shirt from 100% cotton with a unique print. The tee is soft, durable, and bound to become the staple of your toddlers wardrobe. Impossible Love Hedgehog Ballon Toddler T Shirt made by order. Impossible Love Hedgehog Ballon Toddler T Shirt will be sent out within 1-3 business days after payment is received.